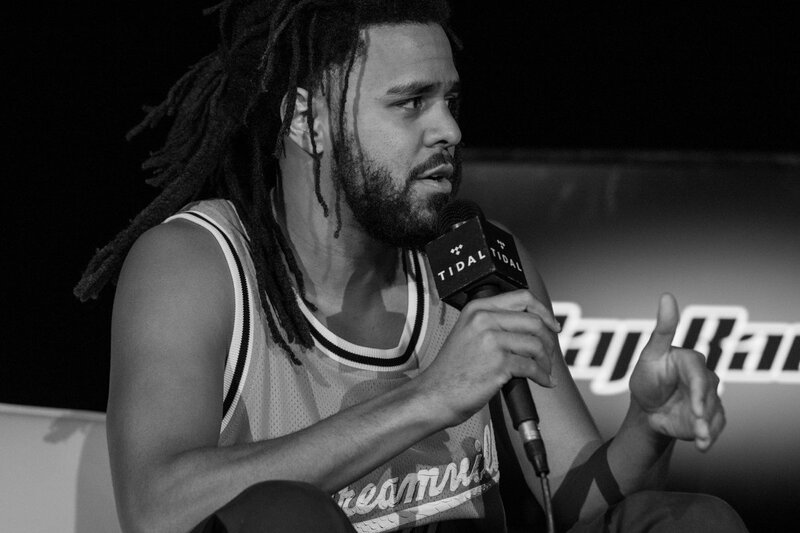 As we are all aware and like many superstars, J. Cole doesn’t do too many interviews so every time he decides to sit with someone, it’s an event. Cole had a very successful outing at his Dreamville fest in Raleigh, North Carolina last week. While there, he chatted with Elliott Wilson and B.Dot from Rap Radar podcast (TIDAL) which made sense as Cole had also partnered with the streaming service for the livestream of the event. The full interview is now available for us to experience. The rapper talks about the success of the fest, what we can expect from the Dreamville roster, his ‘A Lot’ collaboration with 21 Savage, Nipsey Hussle’s passing and more. Take a look below (direct link here). Last night, J. Cole came out as a special guest during Drake’s last London tour stop where the two teased an upcoming collaboration.